People ask me about where do I get my ideas for quilts. Most of the time they just seem to grow out of the process of working with the fabric or playing around with a particular block. But, there are those occasions where a trip to an art gallery, or something I see in architecture, or in a magazine trips a switch in my brain and it starts percolating – unfortunately, that happens when I am asleep. A good night means I wake up in the morning and while drinking my coffee I get some ideas and a sketch them out or jot down ideas, on a bad night it means I wake up in the middle of the night (3 or 4 am)with a great idea and need to put it down on paper before I loose it. 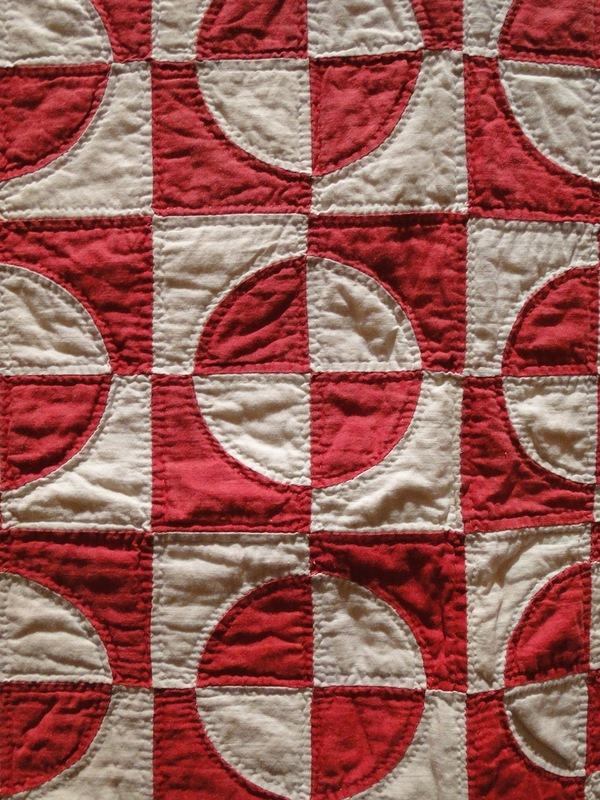 Well, one of those middle of the night “wake up and jot it down” experiences happened during the Infinite Variety: Three Centuries of Red and White Quilts that took place in New York City in March of 2011. 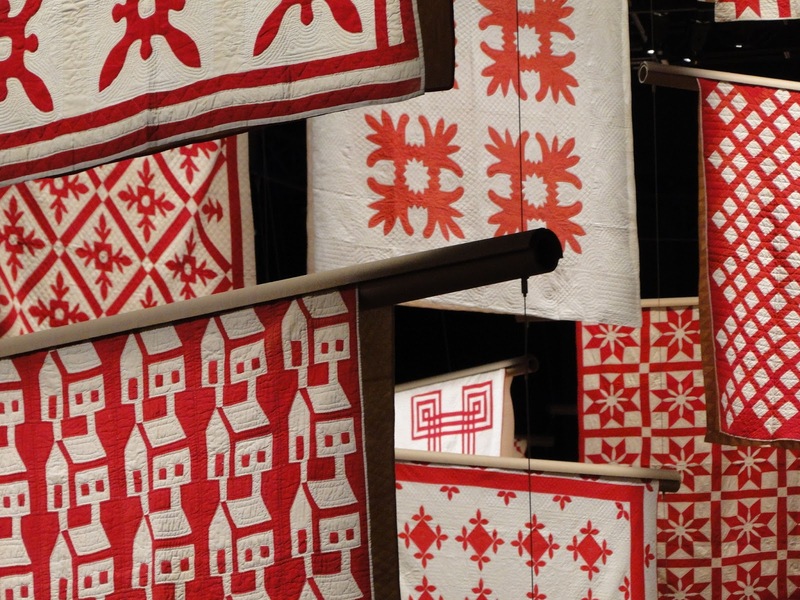 The American Folk Art Museum presented 650 Red and White quilts from the collection of Joanna Rose. 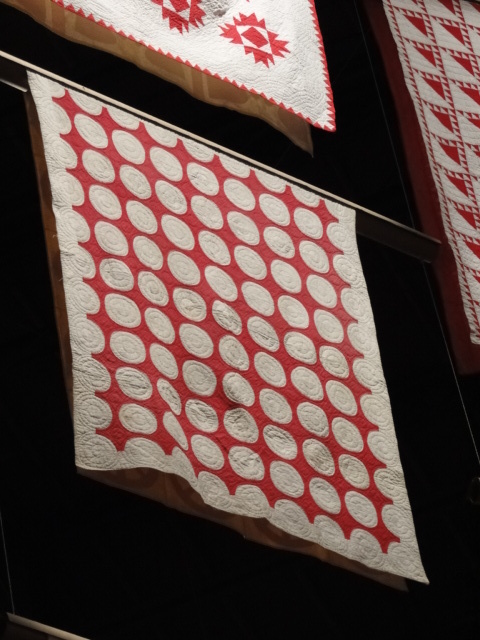 I was there when the doors opened and spent most (if not all of the first day) staring at the quilts in amazement. It was like coming downstairs on Christmas and finding more presents than you ever imagined possible! 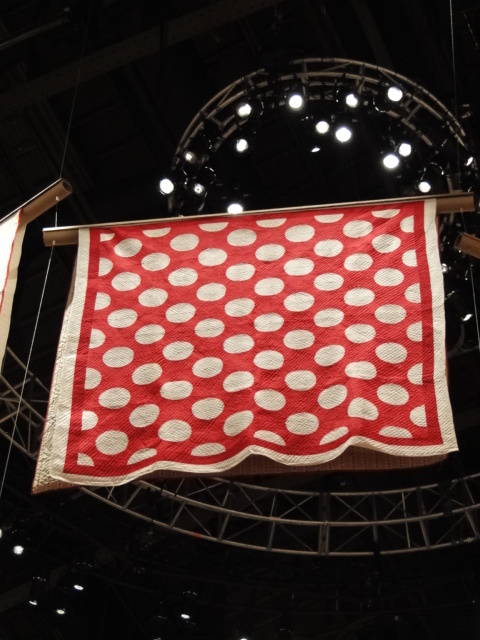 A shot looking through the quilts as they were hung in the room. 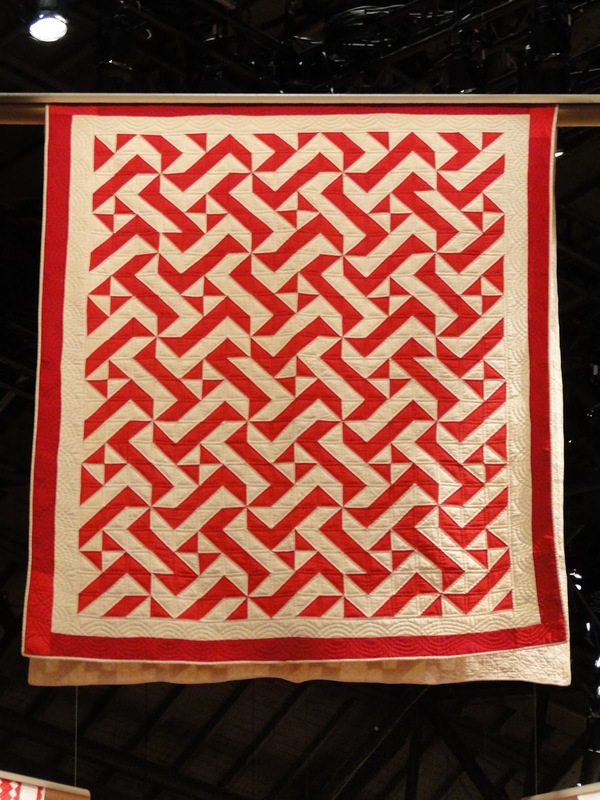 In looking at the quilts I was struck by their complexity, yet simplicity. 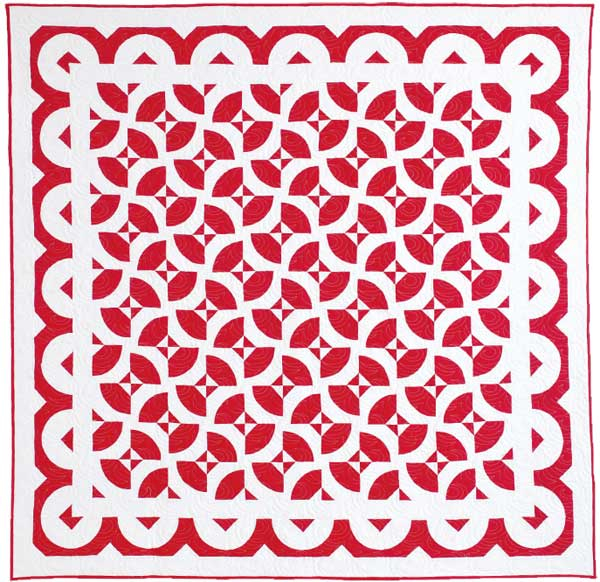 Sometimes the simplicity of a single block repeated in only red and white made a very complex design. I went back several days in a row for several hours each day. 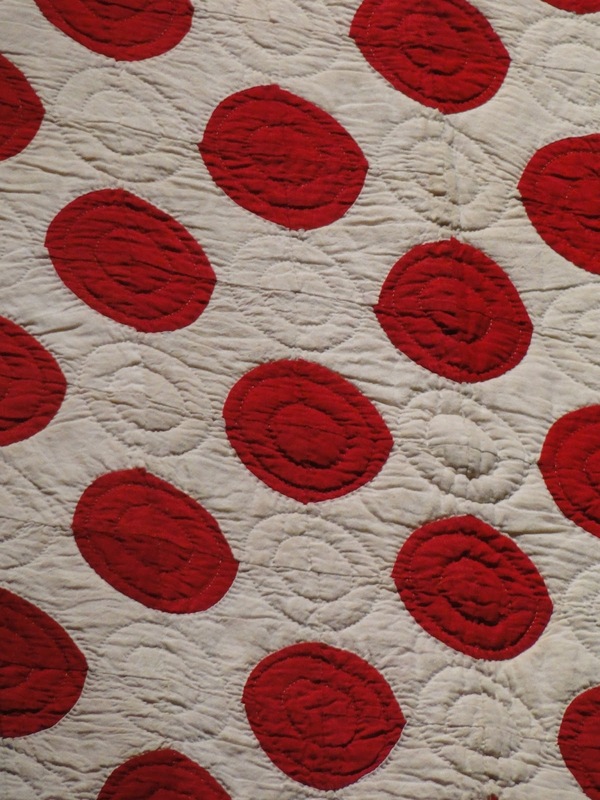 I was drawn to some quilts that were made with Drunkard Path blocks – and was asking myself what else could you do to a Drunkard Path block – what could be added, or changed, or ????? that would create some variation. Well I woke up at 3 am one night and sketched out this block and quilt pattern – I called it “Infinite Possibilities” because of all the wonderful options that exist for fun designs. 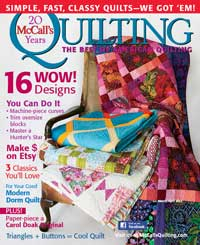 My original design and quilt now graces the pages of the 2013 March/April issue of McCall’s Quilting. 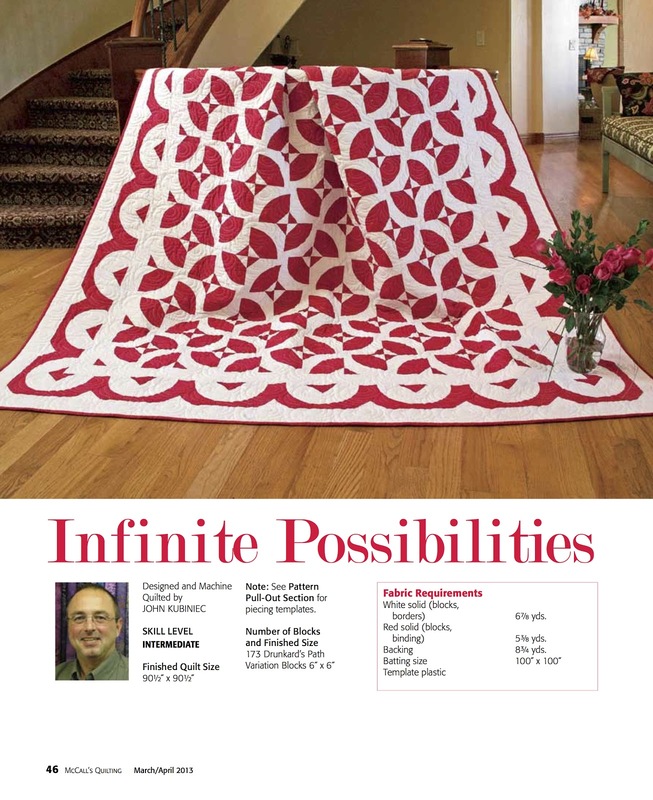 The quilt is approximately 90″ x 90″ – McCall’s is offering a free downloadable lap size version of the quilt. 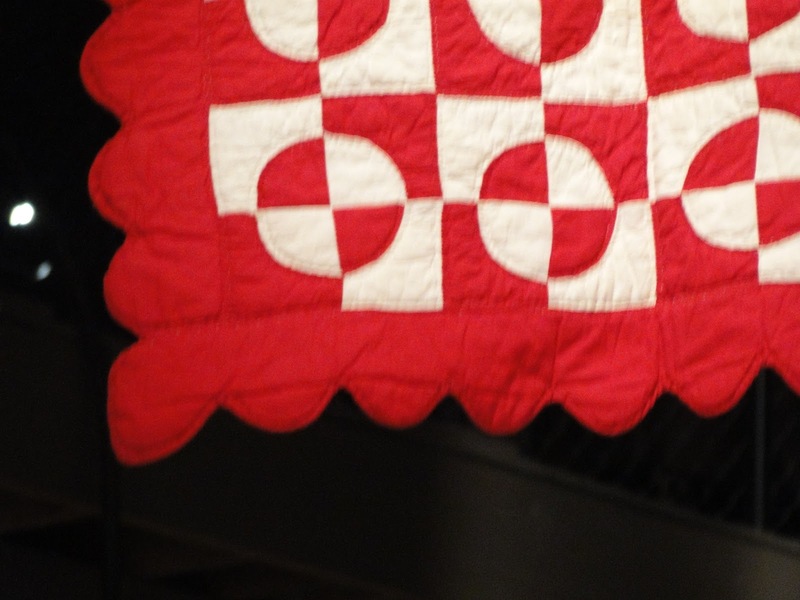 I used Michael Miller Cotton Couture Cranberry and Bright White for the fabric. 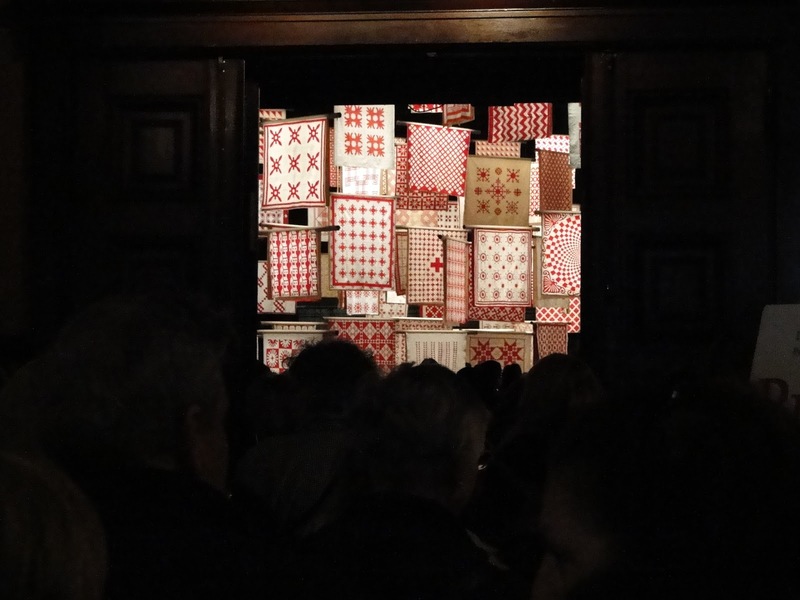 The Red and White show IS still a Christmas Gift that keeps on giving!